Are you ready for this? Take a seat people, this pie is gonna wow you. Graham cracker crust, ganache, dulce de leche, no-bake, cream cheese…there ain’t one thing in that sentence I don’t LOVE. Let’s take a ride on the pie train, shall we? Two weeks ago I showed you the anatomy of the perfect graham cracker crust. I made two crusts for that photo shoot and then had to make two pies. We don’t waste crust at my house, no sir. I made a s’mores ganache pie with one of them. 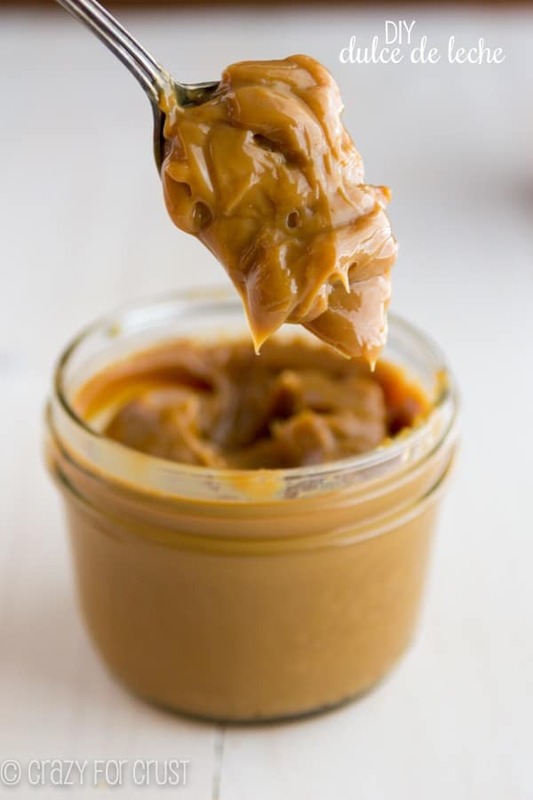 Then, last week, I showed you how easy it is to make homemade dulce de leche in your crockpot. You can buy it at the store, but (1) it’s expensive and (2) you can’t find it everywhere. Making it at home is so easy – especially when using your slow cooker. Set it and forget it! Then you have 24 ounces of gooey, gorgeous, milky sweet caramel to use. 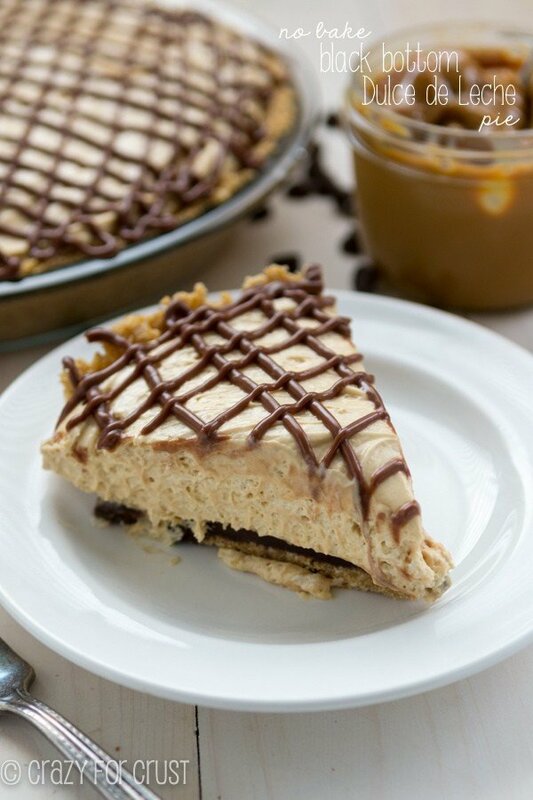 Enter: Black Bottom Dulce de Leche Pie! This pie is no-bake, which is essential here in Sacramento in summer. It’s upwards of 90 every day and A/C is expensive. So expensive that we have to pay $312 every month (even in the off months) so we don’t have an unexpected $500 bill in August. WHY can’t solar be cheap to install? It’s even no-bake if you make the dulce de leche at home, because you use your slow cooker. When it’s hot, I put my crockpot outside in the shade so it doesn’t heat up my house. Or, you can buy it from the store. I know they have it at Safeway and Walmart, but it seems not every store carries it. You might find it in the bakery aisle, or the Mexican foods aisle. But, you know, you can buy sweetened condensed milk at every grocery store for about $1.50 if you get generic. Ahem. Caramel + chocolate go really well together, so instead of just making this a dulce de leche pie, I gave it a black bottom. Black bottom is code for “fill the bottom of the pie with chocolate ganache”. 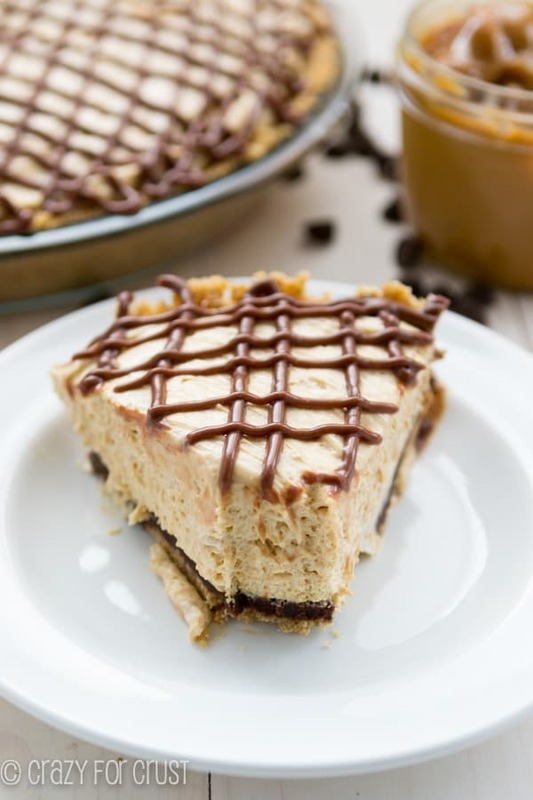 It’s made of semi-sweet chocolate chips and heavy cream and layered on the graham cracker crust. You chill, then top with the fluffy dulce de leche filling. The filling couldn’t be easier to make. Simply beat cream cheese, dulce de leche, vanilla, and sugar with a hand mixer. I folded in a container of Cool Whip to add some filler. Cool Whip is a staple in no-bake recipes. I love using is because I can control the amount of fat and/or sugar. Use regular, light, fat-free, or sugar-free Cool Whip to make the pie to your liking. Plus, Cool Whip is cheap! Can you substitute whipped cream for the Cool Whip? Honestly? I wouldn’t. You probably can, but I didn’t, obviously, because my recipe calls for Cool Whip. I know that whipped cream doesn’t have the same stabilized life that whipped topping does and if you don’t eat your pie within the day you have a chance of the filling weeping. Because the pie was, let’s just call a spade a spade, ugly by itself, I topped it with a chocolate ganache drizzle. You can make your own using chocolate chips and heavy whipping cream, or you can use that jar of long-forgotten hot fudge ice cream topping that’s in the back of your refrigerator. Whatever makes you happy! All the components of this pie combine together to make bites of delicious. The graham cracker crust (I used the no-bake version; make my recipe or buy one from the store), the caramel dulce de leche filling, the chocolate. 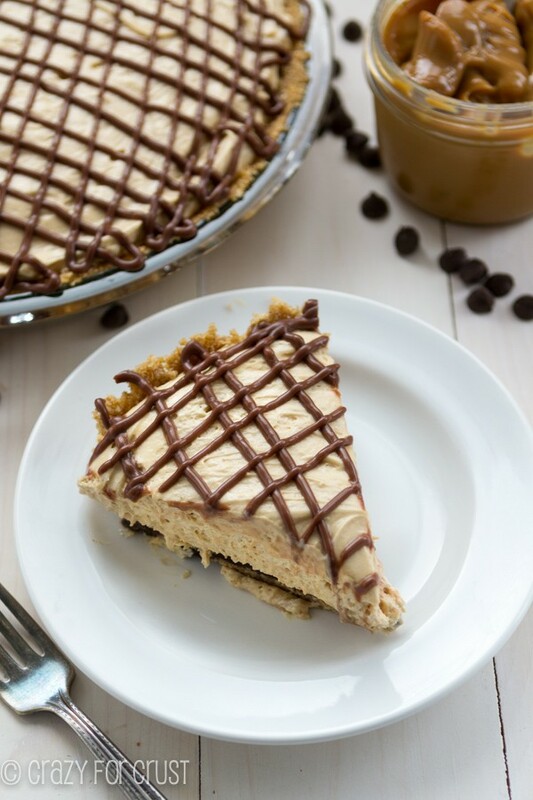 I think is my favorite no-bake pie ever (well, tied with this one at least). This pie lasted about 5 days sealed in a tupperware container in my fridge before it disappeared. The crust stayed crunchy, the pie didn’t weep or melt or get funky. So you can totally make it ahead of time for a party. 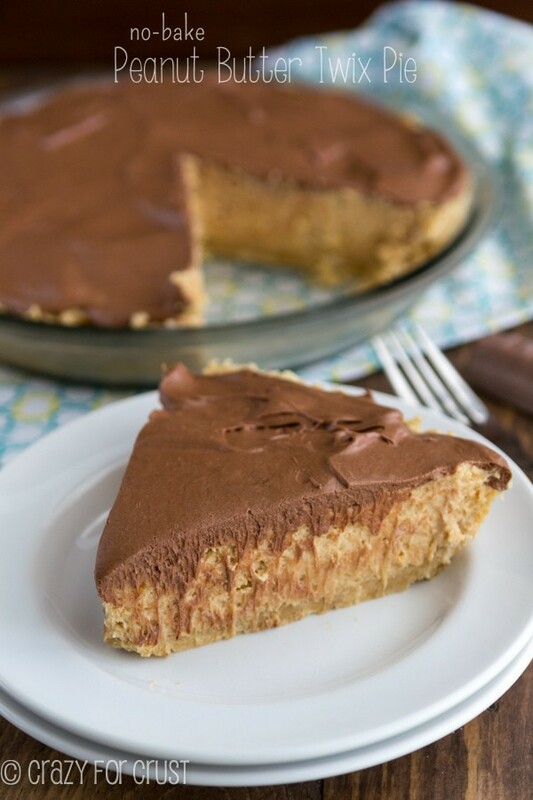 Graham cracker crust, ganache bottom, dulce de leche filling - this pie is the trifecta of amazing! Plus it's no-bake, a win for summer! Make sure pie crust is chilled and ready to fill. Place 1 cup chocolate chips and 1/3 cup heavy whipping cream in a microwave safe measuring cup or bowl. Heat for 45 seconds on HIGH, then whisk until smooth. Depending on your microwave you may need to heat it for another 15-30 seconds. Pour this mixture into the pie crust and chill until ready to fill. Beat cream cheese, dulce de leche, sugar, and vanilla with a hand mixer until smooth. Fold in the Cool Whip. Spread carefully on top of the black bottom in the crust. To top the pie using hot fudge sauce: place gently warmed hot fudge in a small ziploc bag and cut off one tip. Pipe desired design on the top of the pie. To top the pie using homemade ganache: melt 1/3 cup semi-sweet chocolate chips and 1 tablespoon heavy whipping cream in 15 second increments on 50% power, stirring in between each, until melted and smooth. Place this mixture in a small ziploc bag and cut off one tip, then pipe desired design on the pie. This pie will last up to 5 days in your refrigerator. Make sure it's sealed in a tupperware container so it doesn't get funky. 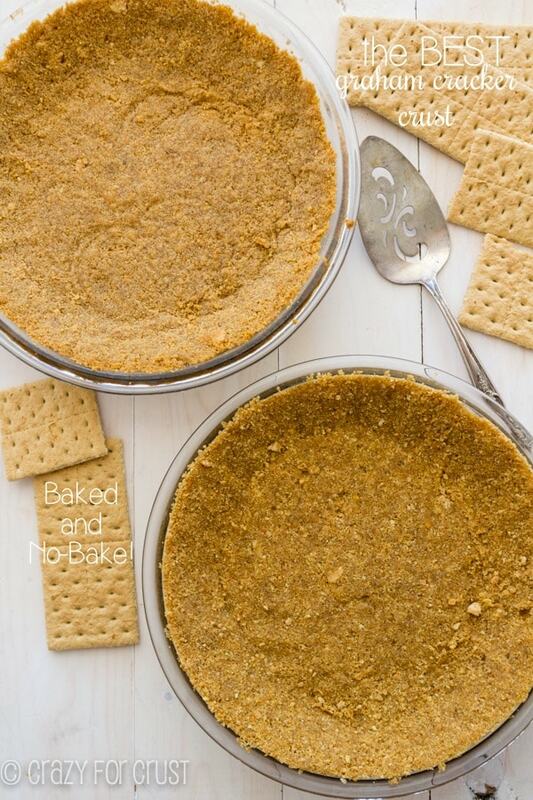 The BEST graham cracker crust – baked and no bake! Check out my Crazy for No-Bake pinboard for more summer ideas! Such an amazing pie!!! I hosted our monthly neighborhood bunco group and served this pie for dessert. They were all singing your praises! I will be making this again for sure. I’m so glad you enjoyed it Julie!! This is such a great pie! It’s so easy if you plan it out too. I made this for my job’s Thanksgiving party and it was a huge hit! I had people asking me for recipes! One of my all time favorite pie recipes. So quick and delicious!